An FBI agent conducting surveillance in New York City was hospitalized Saturday afternoon after being shot, but is expected to survive, local and federal officials said. The FBI's New York office issued a tweet shortly after 5 p.m. on Saturday saying that an agent was wounded by gunfire and taken to a local hospital, but offered no further details. 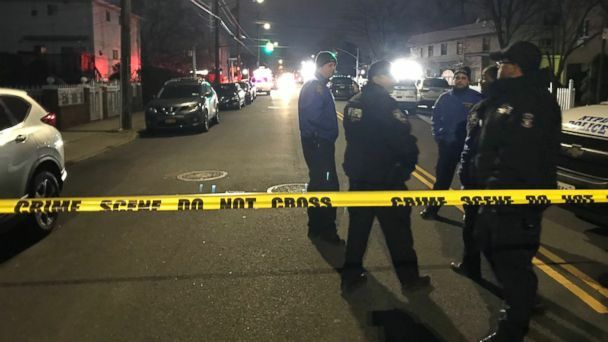 The agent, who was in plainclothes, was shot in the shoulder in the Canarsie section of Brooklyn, law enforcement sources told ABC News. FBI agents were conducting surveillance in a car when people in another car drove by and shot at them, according to sources. The agents returned fire. Two suspects were in custody on Saturday night, sources told ABC News. New York City firefighters responded to a report of gunshot wounds at 3:22 p.m. on Saturday, and two people were transported to local hospitals, an FDNY spokesman told ABC News. No further information was immediately available, the spokesman said. One of the suspects was shot in the hand, according to New York ABC station WABC. The identity of the second individual hospitalized remained unclear on Saturday night. Two suspects fled in one car, according to ABC station WABC, but later switched out the car at a nearby body shop. The first car was located at the body shop with bullet holes in it, WABC reported. The agent, whose name has not been released, was taken to Brooklyn's Kings County Hospital, officials said. New York Police Chief Terence Monahan said in a tweet to expect a large police presence in the area of the shooting on Saturday night.